This is an organization that started when a teenage girl, the daughter of the president of Cadbury Chocolates in 1893, wanted to share the gospel with others. She and a group of her friends sewed pockets into their dresses specifically to carry New Testaments with them to read and share with others. Today, it has grown to become a full time ministry that provides free copies of the Gospel of John to anyone willing to read, carry and share them. This gospel-centered ministry also has an amazing website that tracks your ministry’s effectiveness, much like we do here at Treasure Me Up. If you chose to share Gospels of John, the website will keep track of them and when your influence results in a salvation, it is also recorded. 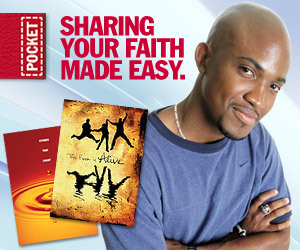 If you choose not to share the gospels yourself, you can pay to help those who wish to do so but don’t have the money. The website keeps track of how many people are waiting to receive gospels too. The PTL ministry has gone to great lengths to produce a huge variety of covers for their gospels that appeal to people in all walks of life. These include covers specifically for men or women. There are covers for holidays as well as for sports buffs, military, medical professionals and many more. The website also provides videos and guidance to help members find opportunities to share the gospels as well as their faith. They have an email evangelism course that you can take for free. Their testimony videos are especially encouraging in that they show that sharing your faith isn’t just for public speakers. God can use all of us. The website also gives those who receive the gospels a way to find out more. They can post messages to members and you can participate in encouraging those that your gospels have influenced. They even have pocket gospels of John in several languages and often share them during large events such as the Olympics.